I have written in details about scoping here, but let’s take a brief walkthrough of scoping before getting into closures. As soon as we create a variable, it is in a Global Scope. So, if we have created a variable which is not inside any function, it is in a global scope. If something is in a global scope, we can access it anywhere—which makes it our friend and enemy at the same time. Putting everything in a global scope is never a good idea, because it may cause namespace conflicts among other issues. If something is in a global scope, it could be accessed from anywhere and if there are variables with the same name in a function, this can cause conflicts. Now we do not have two scopes for the variable doo. Inside the function foo, the variable doo created in the global scope is getting modified. We are not recreating the variable doo inside foo, but instead modifying the existing variable doo from the global scope. 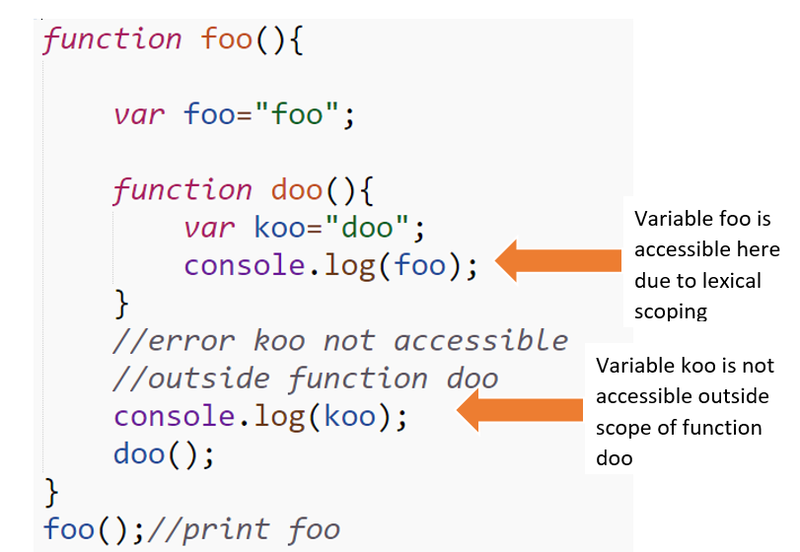 While creating the variable in the local or functional scope, we must use keyword var to create the variable. Otherwise, the variable will be created in the global scope, or if the variable already exists in the global scope, it would be modified. The Inner function keeps reference of its outer function scope. In this case, function doo keeps reference of function foo scope. 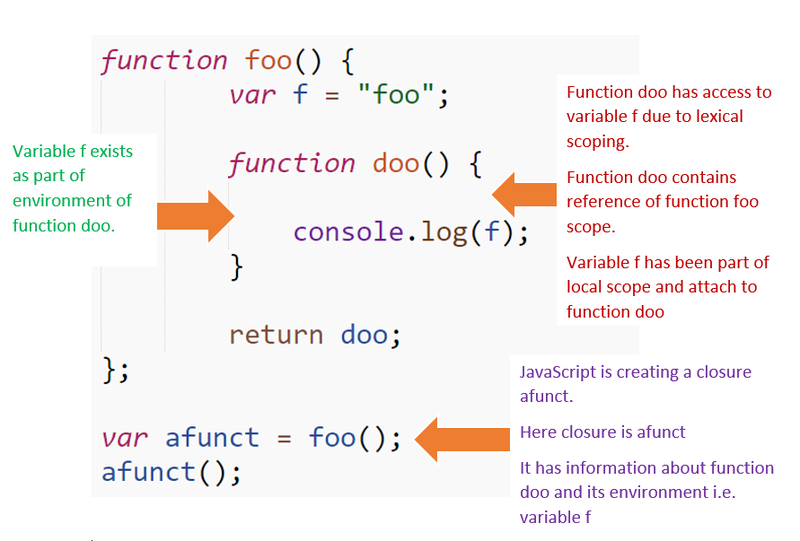 Function doo can access variables from the function foo scope reference at any time, even if outer function foo finished executing. We have two closures here, sum9 and sum99.